I am a lifelong reader and working at the Euclid Public Library as I do, I see so many great books. 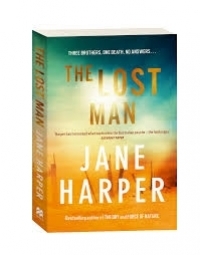 I want to recommend the best book I’ve read recently, The Lost Man by Jane Harper. The Bright family has owned and lived on a large cattle ranch in Queensland, Australia for decades. They are accustomed to the harsh environment and know the rules of survival while working on the ranch – always keep emergency food and water and never leave your vehicle. Especially in summer when temperature can easily reach over 100 degrees Fahrenheit and help can be hours away. That’s why the death of the middle brother, Cameron, is so shocking. Discovered dead from exposure, he’s found in the dusty desert a short mile from his vehicle packed with emergency supplies. The circumstances are so strange that the family first suspects Cameron of committing suicide. The story is told from the oldest brother’s perspective. Nathan Bright has been estranged from the family for years but becomes involved again with his brother’s death. We as readers know that there’s more to the story and as Nathan reveals family history we are drawn into a compelling character-driven mystery. Jane Harper is a relatively new author with two other books published, The Dry and Force of Nature. The mystery stories are riveting and I love the way the author makes the Australian landscape a big part of her stories. Whether it is a small town, a wilderness forest or a remote cattle ranch, the setting in her books adds an atmosphere of danger to an already great mystery. I highly recommend all three of her books. 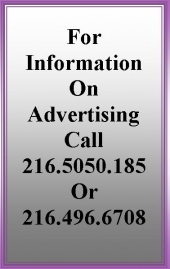 I have worked and lived in Euclid for over 20 years. I am currently the Manager of Adult Services at the Euclid Public Library.